When looking for some good Tom Purser games in the Blackmar-Diemer Gambit, I came across one from over 30 years ago. Purser was playing in a simultaneous exhibition against the former World Champion and FIDE President Max Euwe in Ramstein, Germany. "Dr. Euwe played 20 board simul at Ramstein Air Base rec center on 16 Feb 1978; he won 18, lost one, drew this one. He allowed all opponents choice of color." Tom V. Purser went on to publish "BDG World" magazine for 15 years starting about 1983. Around 1984 this magazine caught MY attention. I am forever grateful for Tom Purser. For those interested in more from him, Tom Purser's blog is a great read. This opening is a BDG Ryder. Siegbert Tarrasch is quoted as having said: "I have always a slight feeling of pity for the man who has no knowledge of chess, just as I would pity the man who has remained ignorant of love. Chess, like love, like music, has the power to make men happy." "Romantic chess was the style of chess prevalent in the 19th century. It was characterized by brash sacrifices and open, tactical games. Winning was secondary to winning with style, so much, in fact, that it was considered unsportsmanly to decline a gambit (the sacrifice of a pawn or piece to obtain an attack). 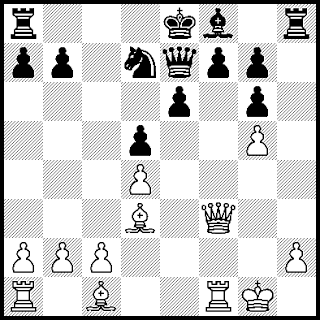 It is no coincidence that the most popular openings played by the Romantics were the King's Gambit accepted and the Evans Gambit accepted. Some of the major players of the Romantic era were Adolf Anderssen, Paul Morphy, and Henry Blackburne. The Romantic style was effectively ended on the highest level by Wilhelm Steinitz, who, with his more positional approach, crushed all of his contemporaries and ushered in the modern age of chess." 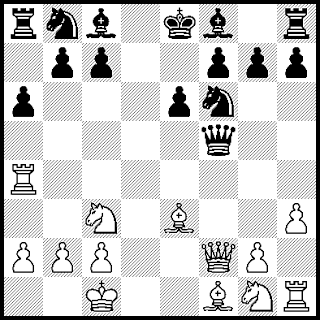 The Blackmar-Diemer Gambit is another opening in the same Romantic Chess style. In the United States, no one has done more in the last 30 years to promote this opening than "Mr. BDG", Tom Purser. After October 2011, Tom on rarely wrote on his blog. I celebrate with a Purser win in a BDG Gunderan Variation which appeared in my Blackmar-Diemer Gambit Keybook II (below are some of the notes from that book).